Why is Barq’s Called Barq’s? Barq’s is an American soft drink brand best known for their root beer. Probably surprising to most, but the company is over 120 years old and sells root beer, diet root beer, red cream soda, and French vanilla cream soda. 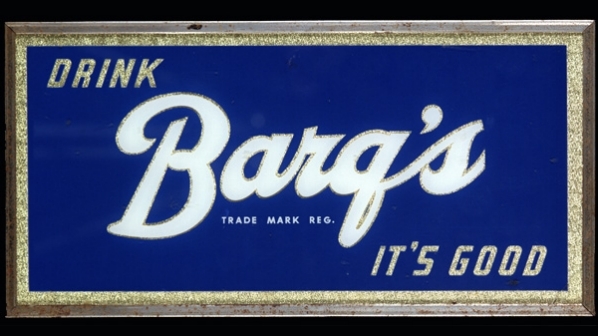 Barq’s traditional slogan is very simple: “It’s Good.” Every can or bottle still has that simple proclamation printed right on it. Another prominent Barq’s slogan since the 90s is, “Barq’s Has Bite,” referring to its crisp taste and the caffeine not usually found in other root beers. Does the commercial below bring back memories? They’ve embraced that slogan in various ways over the years, including with a mascot called Barqy the Dog and putting temporary tattoos called Barqtoos in packs of root beer. Why is it Called Barq’s? Edward Charles Edmond Barq Sr. founded the Barq’s Brother’s Bottling Company in 1890, while living in New Orlean’s, Louisiana. He worked bottling carbonated water and various other soft drinks he created. Early on, his most popular creation was an orange-flavored soda called “Orangine.” He also developed many other flavors, including strawberry, peach, orange, lemon-lime, black cherry, grape, ginger ale and cream soda. Barq then moved to Biloxi, Mississippi, where he bottled and sold his first Barq’s Root Beer. However, it wasn’t marketed as “root beer” for decades. This was partly a choice to try and avoid conflict with Hires, which was attempting to claim a trademark on the term “root beer” at the time. It was also due to its differences from other root beers at the time – Barq’s was sarsaparilla-based, contained less sugar, had more carbonation and had less of a foamy head than other brands. Though “root beer” wasn’t included in the name, Barq’s was still essentially synonymous with “root beer” wherever popular. And Barq’s sure was popular, right off the bat and especially during the prohibition era. Barq was one of the few drink inventors to design his own bottle. He patented a 12-ounce diamond neck bottle in 1935, which all Barq’s were bottled in. Most other bottles at the time were 6 or 8 ounces, but Barq’s sold for the same price – which may have contributed to its initial success! Even Coca-Cola reacted to Barq’s popularity. Coca-Cola tried to produce their own root beer called Rex to compete with Barq’s. It was introduced in the 1960s, discontinued in the 1970s, then Coca-Cola just caved and bought Barq’s in 1995. In 1938, the federal government banned caffeine in root beer. Barq got around that by dropping the “root beer” in the name and changing the name to Barq’s Sr. while he developed a caffeine free formula. The ban was lifted in 1960 & original formula returned. To this day, Barq’s is distinctive as being one of the only root beers that contains caffeine. Today, Barq’s Root Beer is known as just that – Barq’s Root Beer. Until 2012, its entire name was actually Barq’s Famous Old Tyme Root Beer, as pictured on above. What’s your favorite flavor of root beer? Do you, like me, now wish you could go get a Barqtoo? Let us know in the comments. Thanks for reading the naming story behind Barq’s root beer.